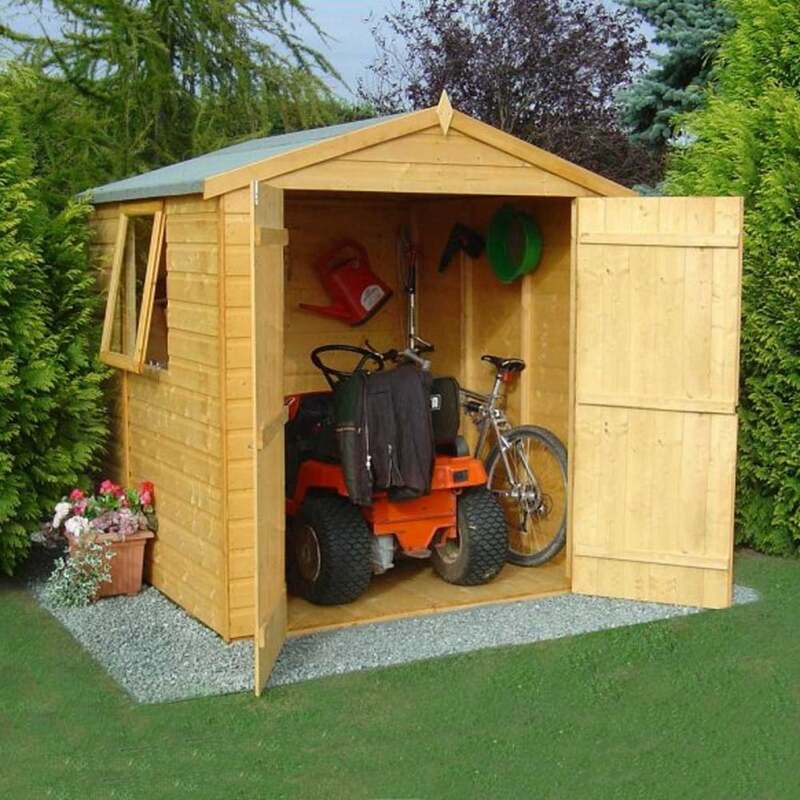 Shire Arran Apex Shed: The Shire Arran Garden Shed maximizes your available space. It is a well-proportioned 6ft x 6ft Garden Shed. Fitting snuggly into the most modest of space the Shire Arran Garden Shed allows ample space and with easy access through the double doors. The Shire Arran Garden Shed has double Doors and one opening window. Review - Shed arrived promptly at 8 on the day it stated which I cannot fault, all pieces were accounted for and I believe it came in the reasonable amount of pieces. The only hard part was the very small font instructions in black and white, they are not in an order and some are hard to decipher. If you take your time you can work it all out even with basic DIY knowledge; however, you 're still looking at a two person job and about half a days work.